Monkey Mind is a Buddhist term meaning, unsettled; restless... A chattering out of control mind. But it could be worse... you could have: ‘Wormtongue Ear'. I call it ‘Wormtongue Ear’ after the vile character from Lord of the Rings, Gríma Wormtongue. 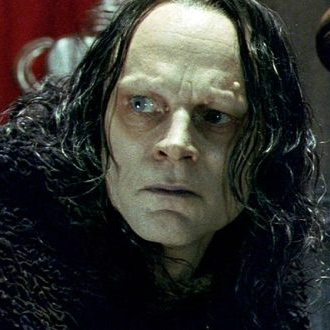 Grima Wormtongue is the chief advisor to a King in the book and films: Lord of the Rings. Wormtounge is really working to weaken the King and his kingdom… through lies and persuasion whispered into the Kings ear. You see, worse than incessant chattering of Monkey Mind is Wormtongue Ear! An insidious internal dialogue anxious, worried, frightened or frightening, and that is self-destructive. Usually it’s an internal dialogue that puts you down and limits you from achieving your dreams. And Wormtongue Ear can even manifest as a negative internal dialogue you don’t consciously notice… so deep that it affects your self-esteem, confidence and More. One of the reasons Om (Aum) or other mantras are chanted during meditations is because it quietens the internal dialogue and stops you from talking to yourself. When you are focusing on your breathing and chanting a sound there really isn’t any room left to critersise yourself. The problem is this takes a lot of discipline, not to mention time. Wormtongue Ear is abuse, it is subjecting yourself to negative self-hypnotic affirmations. If you’re a victim of negative emotions, disturbing feelings, a haunting past, worry, anxiety, limiting beliefs and more… then I have good news for you. 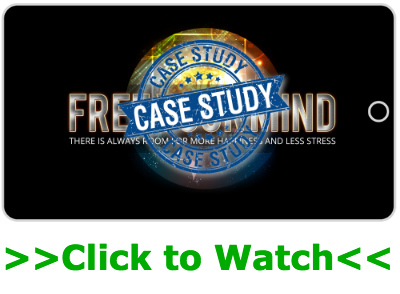 Because now you can get rid of all of them and FREE YOUR MIND with this program. And I know YOU will succeed because I’m taking no chances here. You're getting a complete system for creating the life you want. 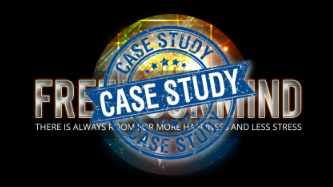 Powerful NLP conscious mind tools to create the positive changes you want. Banish Fear, Worry, Anxiety and Doubt - Dissolve Limiting Beliefs and Negative Self Talk - Create New Beliefs About What You Can Do and What You Deserve - Create New Habits of Success that Propel You Towards Your Dream Life - Create Huge States of Confidence and Motivation for Anything You Want - Create a Powerful Action Plan that will Keep You On Track to Achieve Everything You Desire... and more. Hey Lee-Ann, Awesome 🙂 this is the perfect example of how to use this. And you’re right on track… you do need to practice. Although in some situations once is enough… other times you may need to repeat the technique, then after a while your unconscious mind will simple stop ‘popping’ up that kind of negative internal dialogue. Thanks john i used this right away. it really works ! Hi John. I LOVE the term Wormtounge ear. i’ve been doing the work and “Bright Whitening” all the bad stuff out. This REALLY DOES WORK. THANK YOU.